A very merry un-birthday to you. Unless it is your birthday today then I wish you a happy birthday! Happy National Mad Hatter Day! Alice's Adventures in Wonderland is one of my favorite books of all time. I felt I had to write about one of the best characters from Lewis Carroll's books. Let me tell you a bit about the origin of his character and why there is a national day devoted to him. I will also give you a few Mad Hatter-esque books to check out if you are, like me, eager to jump down the rabbit hole with this character. Hatter is one of the characters that Alice meets along her adventure in Wonderland. In Lewis Carrol's day, many people who made hats suffered a work-related hazard from the mercury in the felt manufacturing. It caused dementia, tremors, and other neurological symptoms. This is the origin of the phrase "mad as a hatter." They were often put into asylums and were able to garden, farm, and also make hats as part of their therapy. They had tea parties as one of their entertainment as well. One theory of how Lewis Carroll developed the character was that he knew how the patients at the Pauper's Lunacy Asylums were treated; Carroll's uncle was one of the commissioners for the asylums. Why a National Mad Hatter day? Well in 1986 some computer specialists in Colorado paid homage to Mad Hatter on October 6. The date refers to the image of Hatter wearing a hat which has a paper sticking out of it reading "In this style: 10/6." It referred to the cost of the hat (ten schillings and sixpence). The folks in Colorado celebrated a day of general silliness, noting they do less damage being silly than doing their work. It was recognized as an official holiday in 1988 with its first national press coverage. Some view it as a day like April fools day. 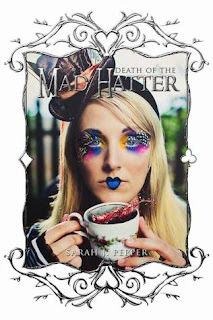 If you are as crazy about Wonderland and Hatter as I am, then you are always looking for more reading material. 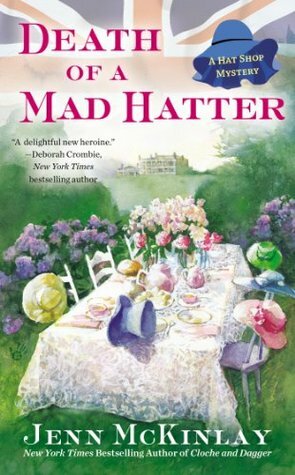 I found Hatter in mysteries, romances, and biographical/scientific books. Here are just a few of my findings. If the king loses his head, then the Queen with a Bleeding Heart would rule the Red Court until Time ceased to move forward. When a second carried on for infinity, every creature in Wonderland would tip their Hat to the misfit girl with a Boy’s name (or was it a boy with a Girl’s name?) who’d end the Reign of Terror. However, it all hinged on the One-Eyed Hare being able to convince an uninspirable Heir that the impossible was indeed possible—like stopping time—and that Love was worth a Beheading. 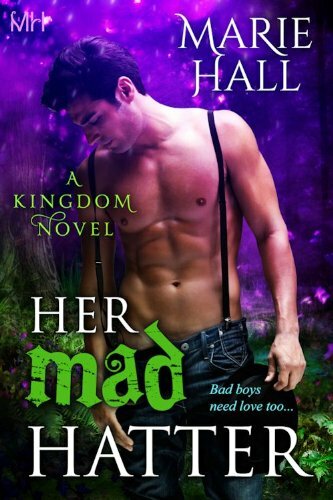 Heads would Roll… Hearts would Break… In the end, would it matter who Reigned? This prophecy, given by the Jack, is about the downfall of a ruling queen. Alice is different than when we knew her from Alice's Adventures in Wonderland. She can come and go from Wonderland as she pleases as long as she's working for the Queen. Though Hatter is not the primary character in this book he is important enough to earn a place in the title. I have not read this book yet, but it has moved into my must read pile due to all the reviews I have read. The newspapers dubbed the thief the 'Mad Hatter,' and his outrageous pranks amused all London. but the laughter turned to horror when a corpse with a crossbow through the heart was found at the Tower of London in a top hat. As Dr. Gideon Fell was to discover, the whole case turned on the matter of hats-- in fact, threatened to become a nightmare of hats. For the victim was none other than Sir William Bitton's nephew, dressed in a golfing suit and wearing Sir William's stolen opera hat. And tying Sir William to his murdered nephew with a scarlet thread was the stolen manuscript of a completely unknown story said to be the handiwork of Edgar Allan Poe. In a tale as freighted with menace as the Traitor's Gate, portly Dr. Fell unravels a crime unique by even his standards of the bizarre. This jewel of a book was first published in 1933. John Dickson Carr is one of the three great authors that came after Arthur Conan Doyle and who mastered the forbidden room mysteries, where the detective solves the unsolvable. This particular book isn't his best in the series but is still viewed as a good book. Check it out if mystery and mad hatter are two of your favorites. If you are someone who enjoys a cozy mystery, then this is the Mad Hatter book for you. It is delightful and funny. There are many suspects to choose from and keeps you turning the page until the end. Light and easy to read, pick this book up the next time you are interested in the themed whodunnit. This is for all you romance fans out there. This long novella is about the connection the Mad Hatter and Wonderland share. If he doesn't find his soul mate, his Alice, madness will descend on Wonderland and him as well. It is an interesting idea and I'm moving this book to my must read list as well. If you enjoy this book there are quite a few books that follow. At the time of writing, the Kindle version of this book is free on Amazon, as is the set of the first three books in this series. And finally, for the non-fiction readers out there, I found an interesting book. Mary Hammond examines the role of mercury in the life of Lewis Carroll, the author of Alice’s Adventures in Wonderland, and the creator of the Mad Hatter. Many of us are aware that the phrase mad hatter's disease is another name for mercury poisoning, and we have wondered whether the Mad Hatter suffered from mercury poisoning. 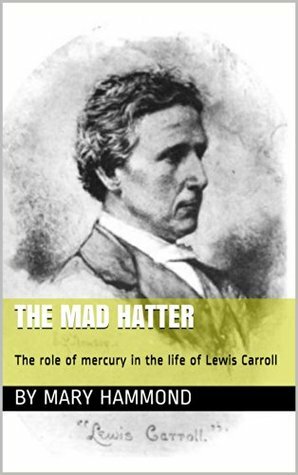 The more important question, perhaps, is whether Lewis Carroll himself suffered from mercury poisoning. He was, without question, exposed to mercury in the course of his photography, and he very likely experienced further exposure due to the extraordinary prevalence of mercury in common usage during the span of his lifetime. 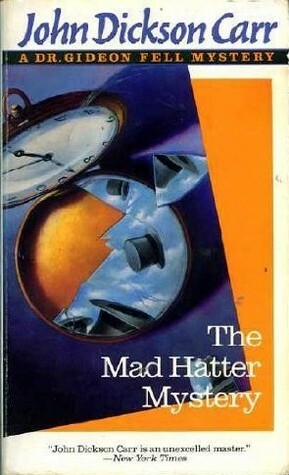 If you read this book, you may come to believe, as Hammond does, that Lewis Carroll’s Mad Hatter was based on a man he knew intimately well, himself, and that not only did Lewis Carroll suffer from mercury poisoning, but it was very likely the cause of many of his disabilities and ailments. Join Mary Hammond on a trip down the rabbit hole for an interesting and thought provoking look at the life of one of our most beloved historical figures. This is a different genre than the rest, where we see an examination of the Mad Hatter. It fascinates me to think of this perspective. I have already purchased this book and am trying to figure out how to fit it into my reading schedule. Many of the other reviews for this book state that it is more scientific than a biography of Lewis Carroll. It also provides an interesting look at medicine in the 1800s. Sometimes a book with such a unique perspective is just begging to be read. I hope I have added height to your pile of books that need reading. I know I have added several to mine. So go prepare your favorite tea, make a few cucumber sandwiches, and curl up with Hatter, Alice, and a few of these books. That's where I'm headed!